We believe in gunning over retrievers that look as good as they work. Above, John Eyles and Matt Owen stand to gun incoming Bufflehead and Whistlers. John’s dog “Guiness” marks the incoming birds. 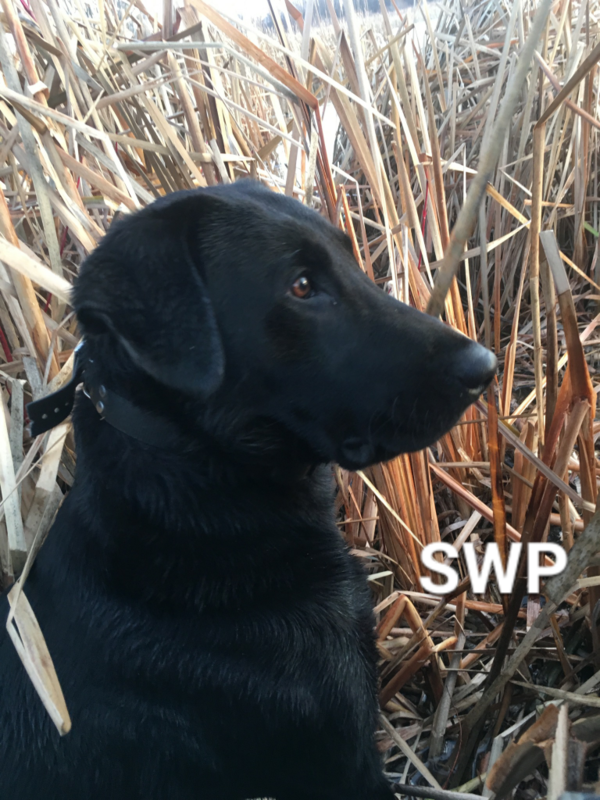 The Seaway retrievers are well versed in working from boats for late season retrieving. Below, “Kenya” and “Thor” deal some damage on a mixed bag of dabblers and divers. 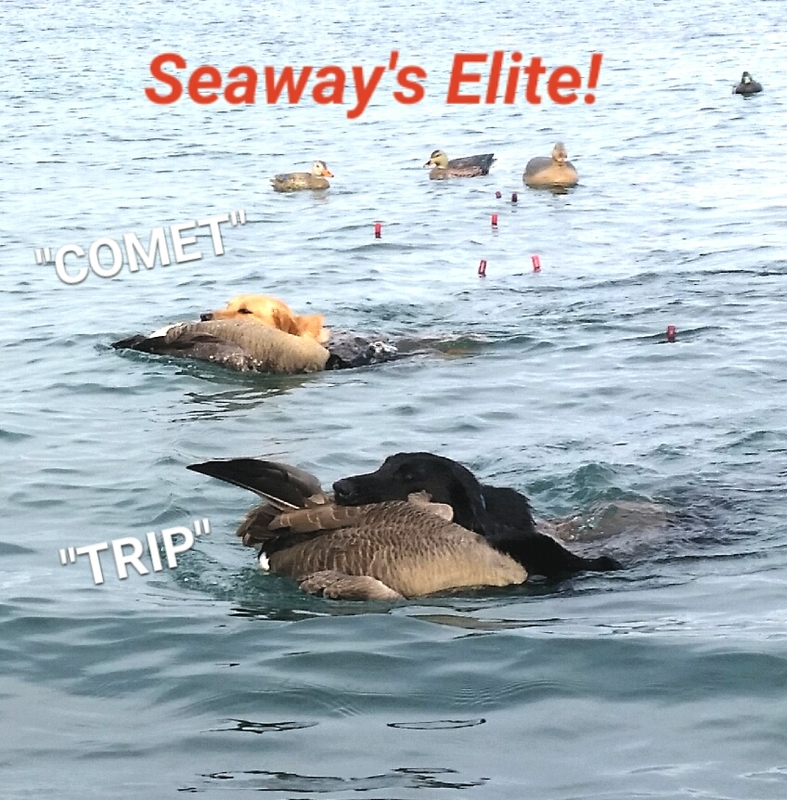 — The Seaway dogs are all well mannered and it’s commonplace to see 2 or 3 retrievers working in conjunction with one another. 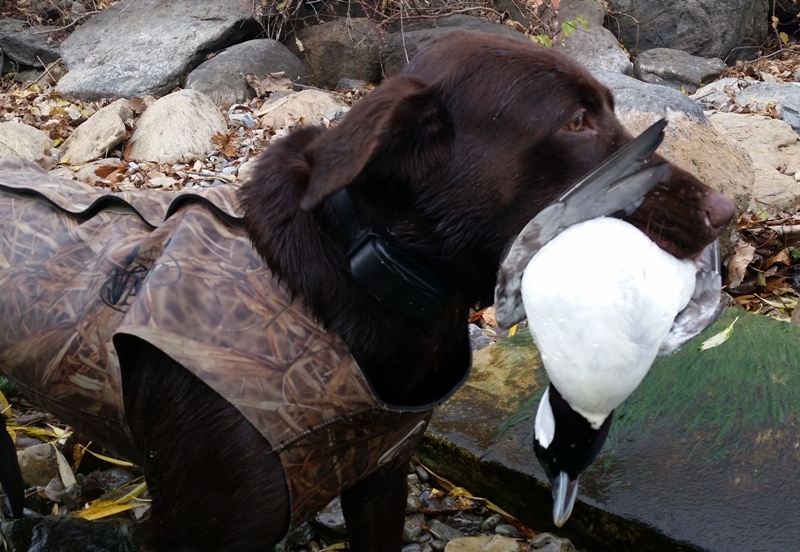 Big Dave hits the Whistle and handles Kenya during one of our off-shore “Old Squaw” hunts. 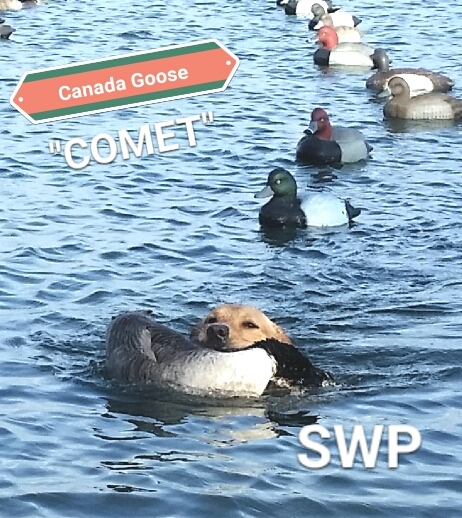 “Comet” and “Trip” on a double Goose retrieve! “Trip” marking in the duck hole! “Comet” swam 2,220 yards on this hunt! “Tart” retrieving a December Bufflehead!